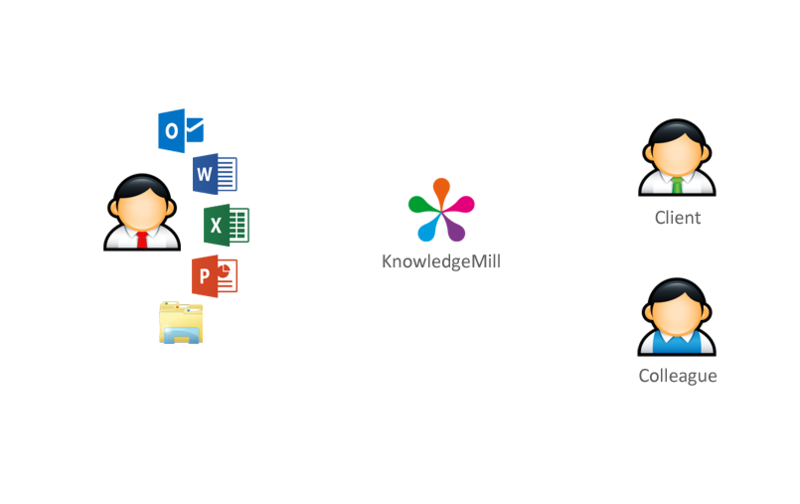 Knowledgemill Document Filer adds the ability to manage documents and files alongside emails, in the same familiar set of Knowledgemill folders. 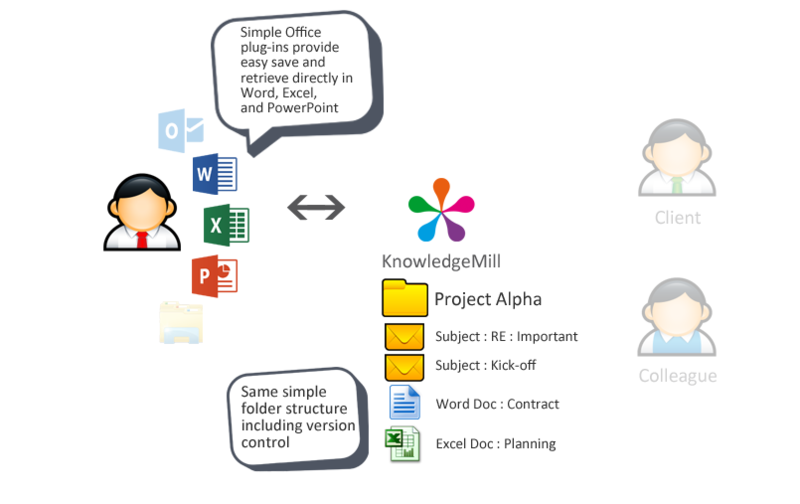 The Knowledgemill Document Filer Add-In integrates seamlessly into Microsoft Outlook, Excel, PowerPoint and Word. However, the system can store, version and preview almost any file type, from any application. 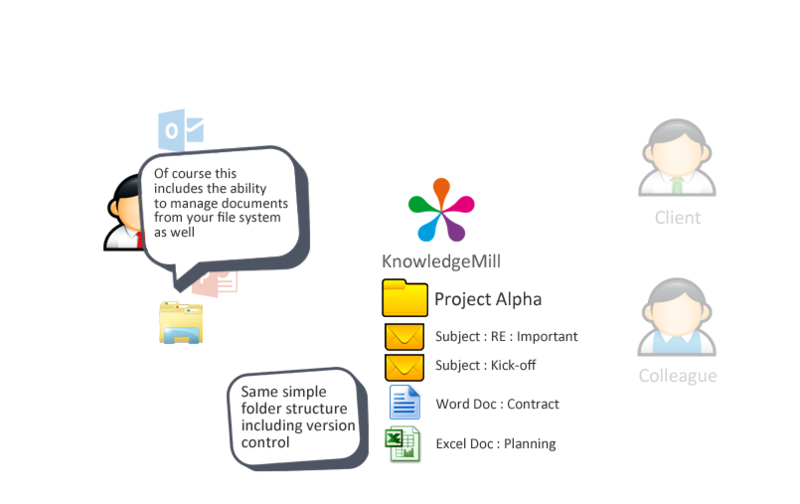 Knowledgemill Document Filer is very easy to use and to implement. It provides all the document management features most organisations need, without the complexity of many traditional Enterprise Content Management solutions. It is an excellent fit for any organisation who currently rely on file shares/shared drives to manage their document and file content, and it is a cost effective alternative for organisations who may have paid a lot of money for an ECM solution in the past and yet have only used a small sub-set of the available functionality. Tightly integrated into Outlook and Office, perform all key without leaving the familiar interface of your primary productivity applications. 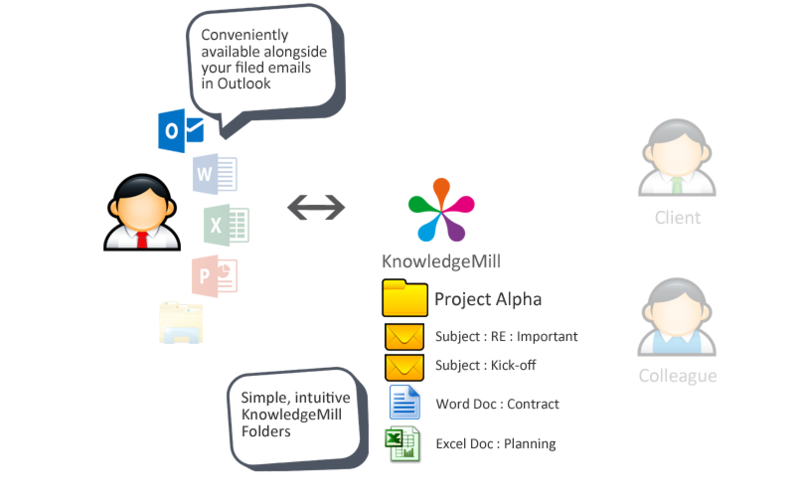 Quickly locate the correct Knowledgemill folder in which to store your document, give the document a name and save, all via Outlook or Office. 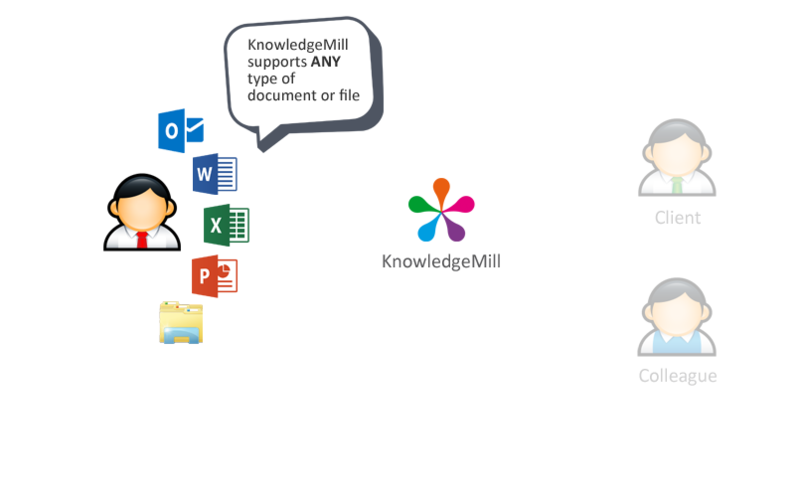 By virtue of being in a Knowledgemill folder a document inherits all the metadata associated with the folder in addition to core document attributes such as “author” and “last edited by”. A new major or minor version of a document can be created by the editor at any time. However, it is at the user’s discretion, no proliferation of versions if you don’t want them. See who has worked on a document at the click of a button. 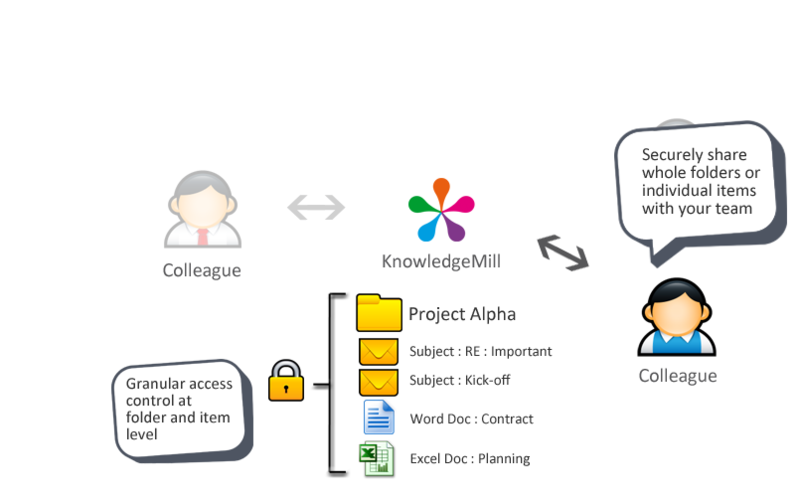 Track the detailed lifecycle of a document, who has viewed, edited or email it. Prevents editing clashes while avoiding users leaving documents locked unnecessarily. Search on document metadata and full text to find what you are looking for. Rapidly view the contents of a document or file without having to open it. 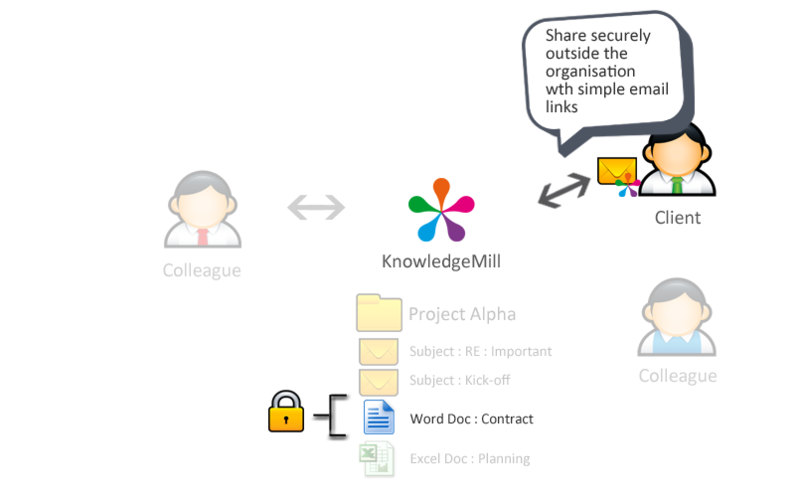 Avoid sending large attachments via internal email, simply send a link to a managed document in Knowledgemill instead.